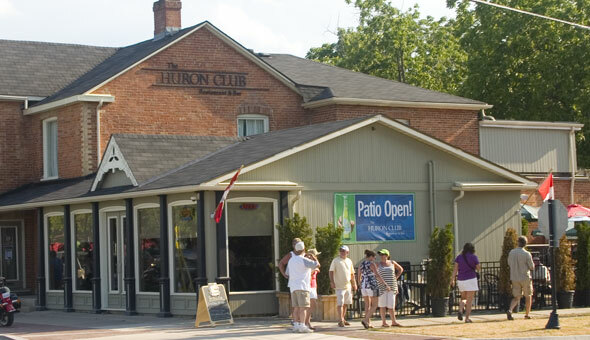 The Huron Club is a restaurant and bar at 94 Pine St. at the corner of 2nd St. in the heart of downtown Collingwood. Or one of the down-home Blue-Plate Specials: Roast Beef Sunday, Meatloaf Monday, Schnitzel Tuesday, or Spaghetti and Meatballs Wednesdays. Live local music every Wednesday through Saturday nights at 8pm and a live Jazz and Blues Brunch every Sunday 11am until 3pm. As well as live piano music over Sunday dinner. Open 7 days a week 11am to midnight. Reservations recommended but not required. A private room is available upstairs for functions up to 55 people.